he Tarawera Trail Marathon & 50k starts at Pohutu Geyser in the Whakarewarewa Thermal Field, Te Puia. From there, it’s ‘full steam ahead’ through Hemo Gorge and following Puarenga Stream into the heart of Whakarewarewa Forest. Following the hidden corners of Green Lake takes you to the views from the ridgetop on Woodstock Farm. 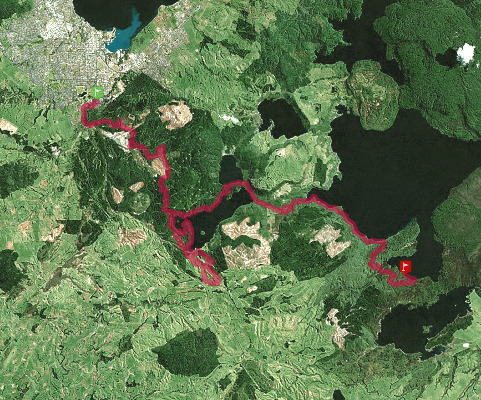 Running past the sheep and back along the shores of Rotokakahi (Green Lake), it’s 15km along the new Tarawera Trail.